We all want somewhere that we can relax and unwind before going to sleep after a long day at work or looking after the kids. If you've ever stayed in a four or five star hotel you will know that overwhelming feeling you get from the moment you enter the room. From the fluffy white sheets on the huge bed to the furnishings making you sad to leave. Here are our top tips to give your own bedroom a luxury makeover. 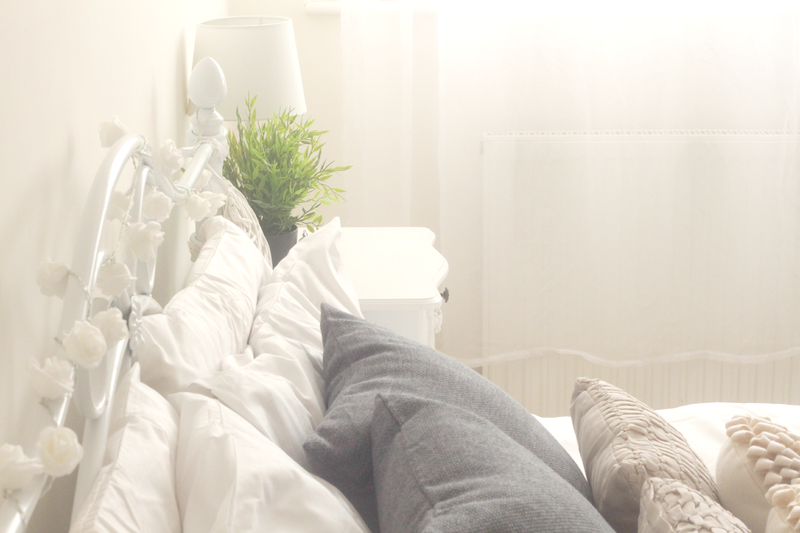 Minimise all of the clutter you have in your bedroom. Whether it be be having a big clear out or organising everything and putting them away in baskets or drawers. Make sure you have minimal clutter on top of furniture too, for example on the dressing table, bedside cabinets and chest of drawers. Trinkets and wire baskets are good for storing bits and bobs in and help make the room look clutter free. Hotel rooms always have lots of cushions scattered across the bed as well as a nice throw at the bottom which most of us throw on the floor or put to one side for the duration of the stay. But it looks nice and adds a touch of luxury to the room. The bed should take centre stage when you are going for a luxe hotel style. Think of all the hotels that you have visited — the bedroom is always well-designed with matching bedding, pillows and curtains. Start with a supportive mattress and then layer it in the luxury of plump down pillows, Egyptian cotton sheets, and a throw. The bed should be fit for a King/Queen and outfitted with a plush headboard that you can lay your head against. A plush headboard on a silver velvet divan bed will add a touch of luxury to any bedroom giving it that hotel vibe. Why not treat yourself to a nice memory foam mattress too adding to that luxury feel. Flowers and greenery should not be reserved for living and dining spaces only. An orchid or bunch of roses will look decadent as well as breathing fresh life and a subtle fragrance into your room. You could also add some luxury candles or diffusers. To help you ease into a long, uninterrupted sleep, ideally you should be able to dim the lighting in the bedroom or use bedside lamps to create a cozy ambience before you retire. Alternatively invest in a statement hanging light, which, aside from its practicality, will give your bedroom a more expensive, well-thought look. Do you have any tips to share for creating a luxury bedroom? The lover of free online spades game can play these games here in the best quality and in different levels. If you played these games for once surely you will be loving these games. Great post! I would like to thank you for the efforts you have made in writing this article. thanks for sharing. By the way I would recommend you visit typemyessay.blogspot.com custom rush essay writing service to make your life more easier.You visit now. Wow amazing content. I loved my bedroom very much. But this bedroom is just awesome. Can you check this link http://ninjaessay.com/ for get the writing services. And you are benefited from this site i am confirmed. All you share with us is up to date and quite informative. I would like to bookmark the page so I can come at this time again to read you, as you have done a magnificent job. Thanks admin!